Our second full day at Cedar Point is in the books. We took it slow today knowing it was our last day of coaster fun for this trip, and also knowing the kids were pretty wiped out from repeated rides on Top Thrill Dragster the previous night. Still, we arrived at the park early and met James Koehl and his son Anton for some Early Ride Time on Millennium Force. In hindsight, we probably should have entered the park through a different entrance, but the Soak City lot was familiar and easy. Besides, we were in no real rush as our goal was front row on Force, and Early Ride Time or not, we knew we were in for a bit of a wait. At 9am we popped into the park and made a beeline for Millennium Force, along with most everyone else, and headed to the front row. Due to some inefficient ride ops (they were releasing a train every two minutes for a throughput of about 1080 riders an hour, which seems horrible for a headliner – by comparison, Diamondback at Kings Island which holds 32 riders instead of Force’s 36, was pushing upwards of 1600 per hour the days we visited), we waited about thirty minutes to ride despite making the coaster our priority. In hindsight, we probably should have skipped the front row and ridden near the back of the train as we would have been able to ride about three times during the Early Ride Time instead of one. But, I felt it was a moral imperative to ride in front, so we waited. And, it was a terrific experience. With absolutely wonderful views, awesome speed, and powerful thrills, Millennium Force deserves to be discussed as one of the best coasters in the nation. Yeah, there is almost no airtime on the ride, but it is all about smooth, sweet, wonderful speed. It was a great way to wake up, and it was a great ride. However, by the time we exited the wait was already at 45 minutes, so we moved on because Magnum XL-200 was just a hop, skip, and jump away offering a similar, if not better, ride experience and some amazing views at a throughput of 2,000 riders per hour. Nice fall back, if you ask me. Speaking of Cedar Point’s coasters, I read a trip report on TPI recently where the writer stated that essentially Cedar Point has a couple tiers of Coasters. I’ll expand that notion into Disney terms. There are your E Ticket coasters like Millennium Force, Maverick, and Top Thrill Dragster. Then, a step down in terms of less wait, but not in terms of less fun, are your D Tickets, Magnum XL-200, GateKeeper, and Raptor. Then come the C Tickets, those coasters you ride when the lines for the E and D tickets are too long, like Wicked Twister, Blue Streak, Gemini, and Mantis. Then come the B Tickets, the so called one-and-dones, like Iron Dragon, Cedar Creek Mine Ride, and Mean Streak. And the final tier of coasters are the kiddie coasters which no self-respecting adult should ride unless that adult has an age- and height-appropriate kid who wants to take a spin, Woodstock Express and Wilderness Run. During our visit we rode every coaster except the kiddie rides and the busted GateKeeper, and overall, I am of the opinion that the diverse collection of coasters at Kings Island was the superior bunch. I’m not trying to start a war here, or trying to offend anyone, I am just stating my opinion. Cedar Point has some great coasters, but the excessive waits for the E and D tickets, combined with low rider throughput, left me feeling a bit underwhelmed with their selection. Both parks have a lot to offer, but I’ll take Banshee, Diamondback, the Beast, and Firehawk over pretty much anything the Point has to offer. Except for Maverick, as it is really a special coaster. After we rode Millennium Force in the front row we headed to Maverick which was only up to a 20-minute wait. As a side note: later this same day when the standby line was I excess of 2½ hours, the posted wait for Fast Lane Plus users was 30 minutes. Can you imagine spending upwards of $90 for Fast Lane Plus and still having to wait 30 minutes to ride? Cedar Point desperately needs a few people-eating attractions to help with the excessive waits on their slow loading headliners! Maverick complete, we continued our circuit around the park, hitting Magnum XL-200 before we rode the newest addition to the park: Pipe Scream, a Zamperla family thrill ride that takes you 40+ feet above the midway at speeds of up to 40 mph on a short section of roller coaster track. It is not a great ride, but we had a fun time riding it as we hooted and hollered like we were riding the greatest attraction ever built! After Pipe Scream we headed to the Sky Ride, rode it to the front of the park and headed over to Pink’s for lunch. Labeled as the “Hot Dog To The Stars,” Pink’s, which has been popular on the west coast for a long, long time, serves hot dogs, chili dogs, and burgers. The location at Cedar Point is their first franchise east of Las Vegas. 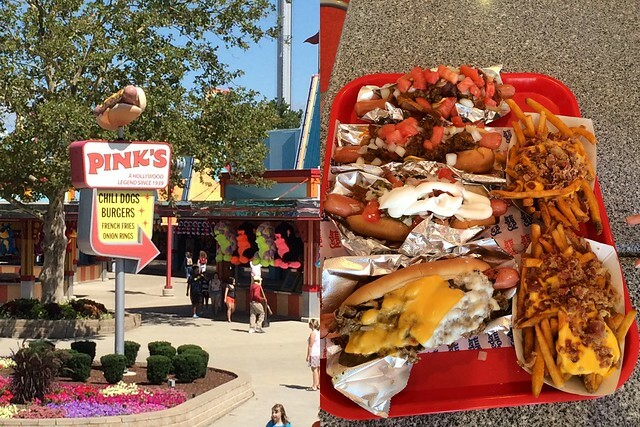 I had to order the Cedar Point dog, obviously, but we also got a Philly dog, a couple Bacon Chili Cheese dogs, a Monster Dog, a Bacon Chili Cheeseburger, two orders of bacon cheese fries, and water to drink. It ran about $70, which isn’t horrible, but isn’t cheap either. Still, the food was all very good and filling, and if you like your hot dogs to have a bit of a “snap” (which I do not) you should be fine. We have a hot dog place in Kansas City called NY Dawg Pound that uses Nathan’s All-Beef Hot Dogs, which I much prefer to Pink’s dogs. However, the food was flavorful and had lots of great toppings, so I call it a win. After lunch we headed across the midway to a counter stand that served Elephant Ears. 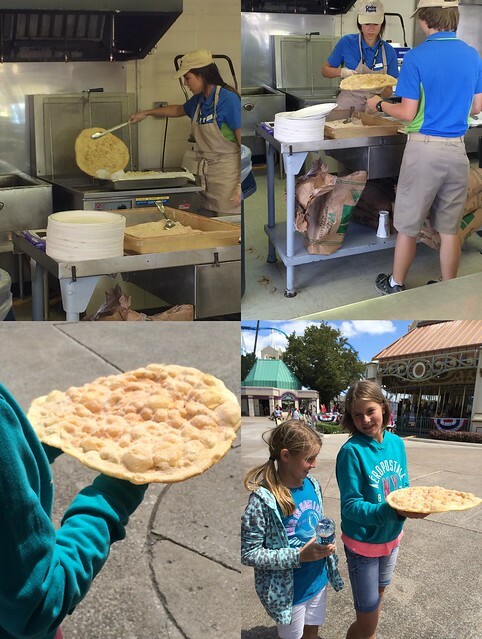 These delectable treats are giant crepes fried then covered with cinnamon and sugar. When the people making them pull the crepe out of the oil, they shake it back and forth so it actually looks like an elephant ear. Regardless of what they look like, they are huge, sweet, and yummy. And remember to eat them fast, when they are still somewhat gooey from the oil...delicious! After dessert we once again moseyed down the Frontier Trail where Jim again lamented what was and what could be if only Matt Ouimet would listen to the Koehl Family. Ignoring his lamentations, we headed to Lusty Lil's Revue in the Palace Theater across from Maverick. This vaudeville-style song-and-dance show is a lot like the saloon show at Silver Dollar City, though it has more songs and fewer corny skits (personally, I like the corny skits). The actors were talented and energetic, and the live musicians (piano and drums) were great. We ordered a couple tubs of popcorn for the event, and just sat back and enjoyed the show. Lusty Lil’s is definitely worth a stop in the afternoon when lines everywhere else are long but you want to hang around the park rather then head back to your hotel and swim. After the show, we rode a complete loop on the Cedar Point and Lake Erie Railroad. It was a pleasant enough excursion, although you don’t get to see much of the park. However, you do get to see the back side of a few coasters and Sandusky Bay, as well as some skeletons in various scenes of carnage and mayhem. It was not a bad train ride. One question: how come people don’t wave back to folks on the train at Cedar Point? Look, when the train passes by everyone is supposed to wave. Jeez. Get with the program, people! It was mid-afternoon and pretty hot and crowded when we exited the train, so we headed to the cars and changed into our swimsuits. Afterwards we headed out to Lake Erie to the beach area sectioned off in front of the Breakers Hotel. No sooner did we get in the water then we were instructed to get out because of possible dangerous riptides. Whatever. We’d been riding coasters for four days, we could handle a little riptide. However, good citizens must always remember to be cheerful and obedient. So, seeing that the beach was not an option, we headed back inside the park to visit the water rides. 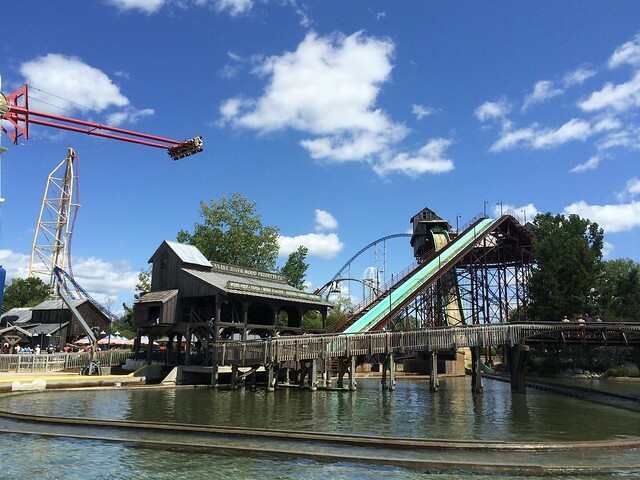 Cedar Point’s trifecta of water rides are all situated in the same area, which is kind of nice because Cedar Point allows folks in that vicinity to leave shoes and shirts in a cubby and tour the rides without fear of getting those articles of your outfit soaked. We rode Shoot the Rapids first, followed by Thunder Canyon, and finally Snake River Falls. None of these rides stood out to me as they were all pretty standard water attractions, but they served their purpose and by the time we were finished, we were all soaked. So, we headed back to the hotel, got cleaned up, changed, then stopped at Jimmy John’s for dinner (hey, we wanted something quick), and headed back to the park. Once we were back in the park we only had about two hours before we wanted to get a bleacher seat for Luminosity. Millennium Force, Top Thrill, and Maverick had excessive waits, so we spent our last couple hours riding Mantis and Magnum, and doing a little shopping (that’s when I bought my Maverick T-Shirt). At about 9:35 we sat down in the bleachers of Celebration Plaza to watch Luminosity, Cedar Point’s version of a night-time extravaganza. The show itself features performances of current and past musical hits utilizing live singers, dancers, drummers, and aerial performers. It is staged similarly to an arena concert, with performers running every which way and “doing their thing” on the stage and at various smaller platforms spread throughout the area. There are, of course, lots of lights, lasers, and video, as well as a few fireworks during the finale. Once the show ends a DJ platform rises in front of the stage, and a dance party (sort of) ensues. 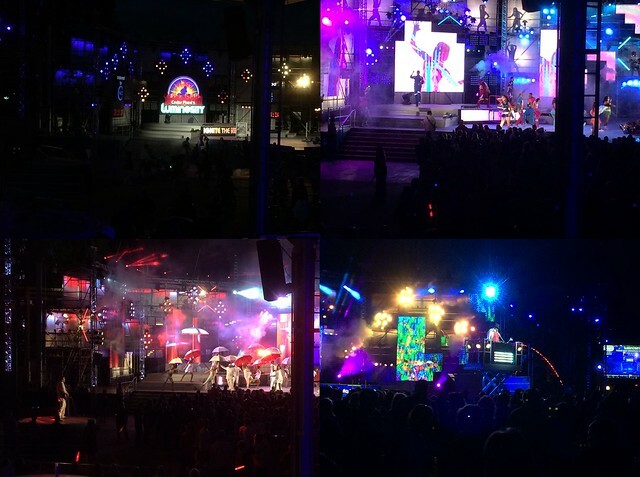 Luminosity is a high energy show, and parts of it worked really well for me. I especially liked when they showed vintage footage of Cedar Point, and I enjoyed the finale. Overall, the show was not something I would sit through on repeat visits but it was entertaining enough. A nice “kiss goodnight” from Cedar Point to its fans. Once the DJ busted out his tunes, we bolted for the exit. On the way out we parted with our new friends, the Koehls, and promised we would be back some time in the future if for no other reason than to hear more of Jim’s vignettes and to ride GateKeeper. Thanks Jim and Anton for everything. You guys were amazing. Overall Cedar Point is a thrilling and majestic park, but it is also a grin-and-bear-it experience. It is busy like an Orlando park, but without any realistic options for bypassing the waits other than to skip rides (or spend a small fortune on Fast Lane Plus, something I was not willing – or able – to do). My advice for future visitors is to tour Cedar Point like Disney fans tour Disney: be at the park very early, leave during the 1:00 to 5:00 timeframe, and then return to the park in the evening when it really shines. Additionally, it helps immeasurably if you go to the park with someone who knows the local history as our adventures were enhanced by Jim and Anton Koehl. They were amazing travel companions filled with great stories and great energy and enthusiasm for this venerable park. Cedar Point might have been overwhelming without them in the group. At any rate, and despite some of my comments, we had a wonderful time at The Point; we really did. We filled our days and our nights with great adventures and left Ohio happy, exhausted, and penniless – what more can be expected from a vacation? Thank you, James, for another wonderful series of trip reports! Thank you, Robert, for giving me an avenue for my hobby/passion/obsession! I also want to say “thank you” to all those who have followed along on this rather verbose journey. My skills with the written word are limited, but I hope I was able to vividly share some of the unforgettable experiences we had in the great state of Ohio. And, more importantly, I hope I have inspired others to post their own trip reports of their theme and amusement park adventures, because I like reading them a lot more than I like writing them. Just for grins I have a couple videos of Jacob, Jeremy, and Anton goofing around at the Point making up their own rides. Hey, sometimes the lines were so long they had no choice! First, here’s HORSE: THE RIDE! Second, here’s STAIRS: THE RIDE! And lastly, someone may ask me, my wife, and our new friend Jim Koehl, “Why in the world would you take a bunch of kids to Cedar Point for two and a half very long days?” Well, the answer is in this picture and in this picture. It’s all about the people you meet and the friends you make. Thank you for sharing your trip! As my home park (both as a lifelong guest and as a former employee) Cedar Point is so ingrained into my amusement park life that I cherish an informed outside perspective on the place. I often wonder what it would be like to experience the park "fresh" as an outsider, so following along with your trip has allowed me to live vicariously for a few days. So thanks again and happy future travels! Thank you James. It has been great reading about your experience. Like the previous commenter, it is nice hearing a fresh perspective on a place you know. I'm glad you had a great tripe. I've been withholding my comments on this until the entire article was posted, so now it's my turn. First of all, I have to comment on the Rao Family. Whenever I think about them, one word comes to mind- remarkable. Through my correspondence with James I knew that we would get along fine, but I had no idea just how fine that would be. Within about 3 minutes of meeting them I felt like we had known each other our entire lives. My son Anton and the Rao boys Jacob and Jeremy bonded like cousins that had known each other their entire lives and were getting together for the annual family reunion. All the Rao kids, including the beautiful Emma and Joanna, took to me like I was their slightly crazy uncle who had been on too many roller coaster inversions; Robin, James' lovely wife, was both charming and a bit bemused at watching everyone, including James and myself, act like middle schoolers on a field trip; James and I- well, I think I will be forever spoiled at Cedar Point (with the possible exception of when Jeff Elliott comes in a few weeks)- his vast knowledge of ride details, specs and designers was the perfect counterpoint to my knowledge of Cedar Point and its history. When a personal crisis in my family decided to intrude on our first day together, James and his entire family rallied behind Anton and I at a difficult and emotional time. The Raos are a family of faith, love, fun and deep friendship, and it was such a privilege to spend those days with them. At least you liked our elephant ears. Fried in oil, covered with sugar and cinnamon, no nutritional value whatsoever- the perfect park food. Your obvious enjoyment of them almost is enough to let me forgive you for insulting our perch...almost. I know you were a bit surprised about the beach warnings about riptides and why I insisted we get the kids out of the water, but they are really nothing to fool around with. My wife spent lots of time as a kid on various Lake Erie beaches, and once got caught in a riptide and very nearly drowned, and she was a competitive swimmer. Many times you encouraged me to write articles about Cedar Point history, something that I have done in the past. I have several articles in mind, and have started on a bit of research for them, so probably sometime this winter look for them. James, I can't find words to express how much fun I had rediscovering Cedar Point with you and your "remarkable" family (yes, there's that word again!). So often the anticipation of an event isn't equaled to the event itself, but in this case it was far surpassed. The two days were the highlight of my summer. James: I enjoyed your articles. It's been a while since I've been to Cedar Point, so your words brought back a lot of good memories. And, my favorite coaster at Cedar Point is their classic Magnum. At it's inception it was probably the best coaster in the world. Just love the air time bunny hops at the end.Good summary. It's a good park for teenagers and twenty somethings. With a few good dark rides, some theming and more entertainment,Cedar Point could be a great park.. ..Once again, thank you for what has probably been the most inclusive, and very interesting, trip report I have yet read on TPI. (P.S....When did you have time to ride, in between writing these reports? Jim - and I mean this sentiment from the bottom of my heart - the pleasure was all ours. Thank you and Anton for taking time out of your day, no, your LIFE, just to entertain some strangers. As much fun as we had on the coasters, the best part of our trip was hanging out with you two. It was an honor and a joy. Thank you. Eric & Tim - thanks for following along and for your kind words. I appreciate them. There is nothing quite like throwing your family adventures out for the whole world to read and then waiting with bated breath to see how folks will react. Thank you for being so nice! And Rob, I gave up sleep just for you and the rest of the TPI community. I figure I now have a year to catch up before The Rao Family heads back Orlando in 2015! Are you going to do a trip report for Orlando? I really hope you do. Excellent trip report! I enjoyed reading every part of it. I have heard early/mid August is typically the most crowded non-holiday period for Cedar Point, and from your report that sounds like it's probably true. On my visit in late July, we had waits up to 90 minutes for the big three, but I don't remember anything else being over 30 minutes (in other words, busy but manageable). We did spring for Fast Lane Plus one of the days just to be certain we would do everything. Worth it? Absolutely. Would I do it again? Unlikely, but possible. I definitely agree with you about the capacity issues on Cedar Point's headliners. 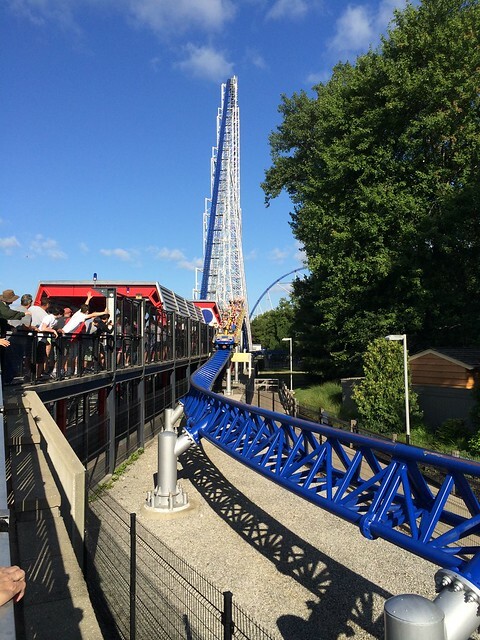 Of the big three, Millennium Force has the highest capacity, but it still is theoretical 1,300 riders per hour. At most parks, that would be plenty, but Cedar Point gets so busy it just isn't enough (it's the only park I've been to that can match Disney's crowds). I'm glad to see Cedar Fair in general shifting over to B&M, as those can do 1,700-1,800 riders per hour. I will give the operators credit for doing the best they can, as Cedar Point tends to run max trains and send them out in a timely manner. It sounds like you managed to do pretty much everything. Honestly, if you have to miss a coaster GateKeeper is an acceptable one to miss. It's not a bad ride, but it's not one I'd go out of the way for and looks better than it is(rode it three times over two days and had no desire to ride again). For fun, my official coaster rankings for Cedar Point are (best to worst): Maverick, Top Thrill Dragster, Millennium Force, Raptor, Magnum XL-200, GateKeeper, Wicked Twister, Gemini, Blue Streak, Mantis, Woodstock Express (it's actually really good for a kiddie), Iron Dragon, Mean Streak, Corkscrew, Cedar Creek Mine Ride. Once again, excellent report. I'm now contemplating doing one for my two week theme park trip this summer, but I'm not sure (then again, I will be doing it on TPR, so maybe I'll repost it here with more words and less pictures). Thanks, AJ. And I would love to read your trip report! If you decide to post it somewhere other than TPI (there are theme park sites outside of TPI??? ), send me a note with a link so I can take a look. We did manage to accomplish everything important on our list except GateKeeper and we would have been fine to accomplish that coaster as well, except for the lift hill issues (shocking a B&M would have downtime!). Looking back I am quite satisfied with our accomplishments, and our ability to avoid some of the longer waits despite not dropping the $500 for Fast Lane Plus. It probably helped we had a pro like Mr. Koehl in our group, to be sure! Our coaster rankings aren't all that different, I just seem to esteem Mantis a bit higher than most. Maybe I was shocked to finally ride a stand up coaster that was actually fun! Final note: we did get in line for Woodstock Express on two separate occasions, but each time we walked away for two reasons: 1) it appeared to be the same ride as Flying Unicorn (or whatever they call it now) at Islands of Adventure, and 2) there were a lot of kids waiting to ride and I felt bad with our troupe of eight taking up half the train! I weighed the coaster credit against those two things, and got out of line both times! Again, thanks to everyone who followed along...happy travels, and may the Force be with you. One thing that Mr. Rao neglected to mention. In "Part 4" he made some rather disparaging remarks about a major attraction in Kiddie Kingdom called "Sir-Rub-A-Dubs-Tubs", which is a children's water ride where round floating tubs, similar to Thunder Canyon but without the rapids or soaking possibilities, float gently through a meandering water course. James and his lovely daughter Emma (and perhaps a few other Raos) patiently waited in line to board one of the tubs to experience this one-of-a-kind family attraction, only to be told that they were all too tall to ride it (hard to believe once you actually see James in person ;+) They took the "walk of shame" out of line, and I believe I detected just a hint of mistiness in James' eyes. He claimed it was allergies. Right. Disappointment? That I would believe. I think I stated previously that I caught a cold while at the Point, did I not? I am certain that fact explains any mistiness you may have seen - real or imagined (thankfully I did not wear my Jack Sparrow Guyliner that day!). James, since the PM feature on the site is currently down, you can click here to access my trip report on Theme Park Review. I try to update this once or twice a week. Right now, I'm working on sections from an earlier summer trip, but soon (probably next week), I'll start with my two-week theme park trip through Ohio, Kentucky, Indiana, Illinois, Pennsylvania, New Jersey, and New York. I may end up posting it here as well, but in case I don't there it is for you or anyone else who is interested. Edit: Thanks for the tip, James. I think it works now. Interesting report so far, AJ... lots of pictures. I never got to ride Cliffhanger (Thunderbolt) when it was at Celebration City because that park closed one year before the Rao Family visited the Branson area for the first time. We did think about stopping at the Glenwood Caverns on our way to Disneyland last year, but if I remember correctly it would have been a fairly expensive addition to the trip so we skipped it. Same with the coasters in the Vegas area. I sure wish money grew on trees or that deficit spending really was a sound fiscal activity. I'll keep checking on your report for future updates. One other note, when you post on TPI next time, check out the "Guidelines for Writers" link below the message box. It provides some handy tips for adding links and whatnot to your post. My family kind of got tired of Cedar Point. Our first year we did a 3-day thing and had a blast, even with rain on that first day. But last year we did a few hours in the evening, and then 2 hours in the morning and left. I think I would love maverick except that it beats my ears to death against my glasses. If you are taller, or a lot shorter, maybe it doesn't, or if you don't have glasses. I thought about wearing ear muffs. But they could solve that problem by replacing the stupid restraints with something that doesn't whack your ears with a hard rubber side. I guess they are afraid of whiplash if they let you have your head free, but make it adjustable or something. Millenium Force is my favorite in the park. Magnum is just too rough unless you get in the right seat. I love Mean Streak, although the last year we rode that it was rough even in the front seat. I like Top Thrill, but not enough to wait in the line. One year it was raining at 9pm, and TT was shut down anyway for repair, so we got to it at 945 and it wasn't crowded at all, so we just went up and waited for a front seat cause they just opened it, and that was fun. But every time I ride it, I am disappointed that they did nothing with all that speed, except burn it off. If it had a 150-foot hill after the drop, they could get a great hang-time with no more effort. I actually like their water park. One year we spent more time in the water park than the main park. 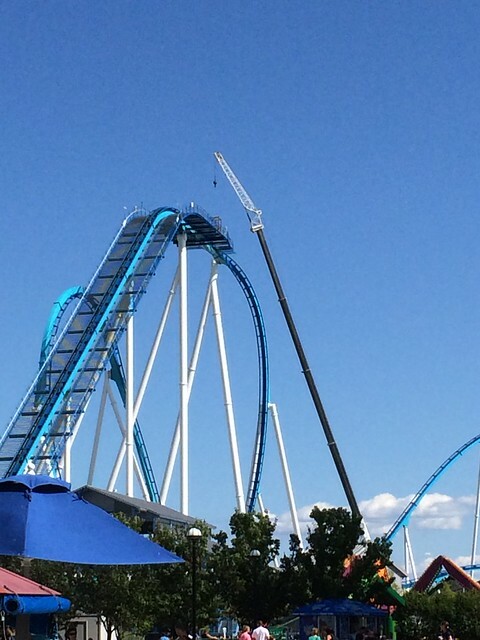 The whole family liked Gatekeeper though, so I'm sorry you couldn't ride it. I have decided that overall, I actually like the coasters at Kings Dominion more than what they have at Cedar Point. They've got nothing like the Volcano of course, as nobody does. Fascinating reading and very thorough report. I enjoyed reading James's perspectives on the park and rides. The Rao family certainly managed to get in a lot more than I ever did on my three visits to Cedar Point, to which I will probably never return due to the excessive waiting time. 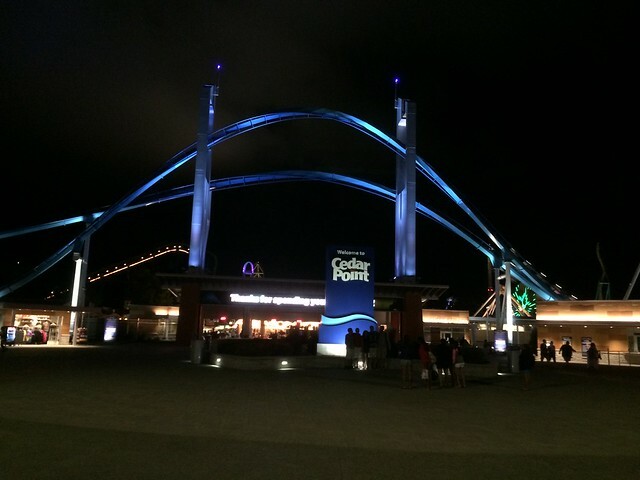 (2 1/2 hours to get on Millennium Force and this was at night). I share James's enthusiasm for Maverick, whose logo I have tattooed on one leg, but prefer Millennium Force b/c I'm a sucker for long drops. I didn't like Magnum b/c it has too much airtime - usually a highly desirable quality but in this case a drawback in that the lap bar kept whacking me on the legs. In total agreement about Mean Streak - BORING!!! Raptor a delight but I'm probably one of the few people on the planet who prefer Kingda Ka to TTD. Obviously, the theming on TTD is vastly superior to that on KK but for this type of ride I prefer to be harnessed in, as it's easier on the body. Too bad about Gatekeeper although you didn't miss much. I thought it was fine but it just didn't excite me the way X-Flight at Six Flags Great America did. Thanks Charles and Bobbie, I appreciate the feedback and the commentary. And I appreciate you following along on the journey! TL;DR. I stopped after Part 1. Anyways, it does sound like a good trip. Awesome, Anon. Thanks for the thoughtful commentary, which, by the way, I stopped reading after "TL;DR".